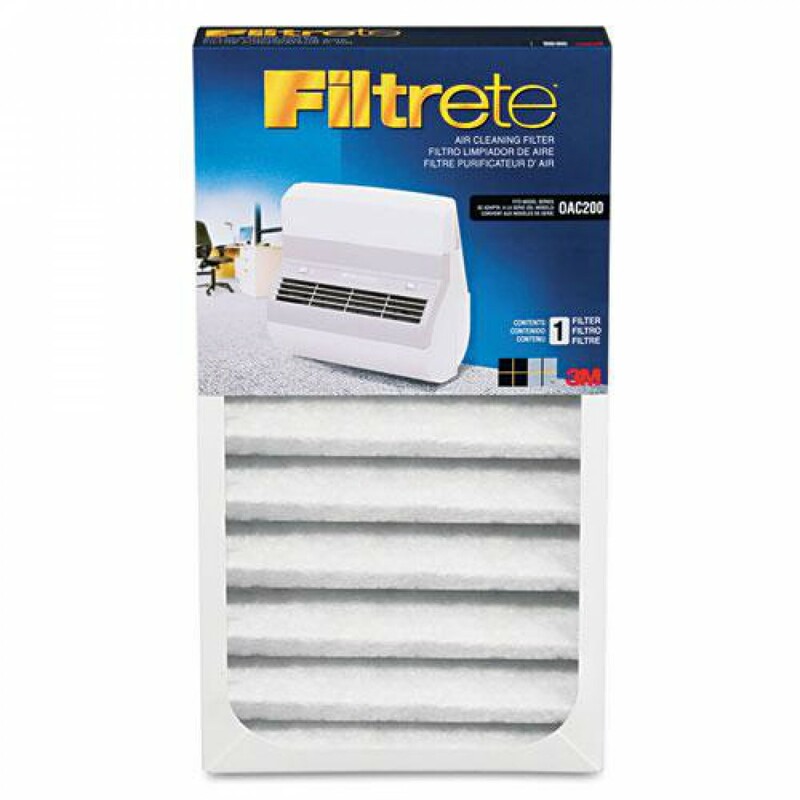 Designed for quick and easy replacement, Filtrete Office Air Cleaning Filters snap easily into place after removing used filters. The FILTRETE-OAC200RF filters should be replaced every three months to ensure the maximum performance from your Office Air Cleaner. The Filtrete Office Air Purifier Replacement Filter fits the Filtrete OAC200 Office Air Purifier. The filter uses Carbon-Impregnated Fabric to remove contaminants for up to 3 months. Dual layered Air Cleaning Filter with Activated carbon captures airborne particles and reduces odors. Filtered air is released from the unit and helps increase air circulation. Quick and easy filter change, just snap the new air filter into place after removing the old one.